L.A.’s most prominent seafood chef turns his attention to burgers, steaks and pork chops. L.A. chef Michael Cimarusti, the game-changing seafood master known for his pristine tasting menus at Providence, wants the food at his new restaurant to resemble how he cooks at his house. Cimarusti serves ultra-premium, responsibly sourced fish at Providence, which he opened in 2005. Many dishes there involve a great deal of restraint. A lot of seafood at Providence is lightly cooked and garnished with delicate microgreens and herbs grown in the garden on the restaurant’s roof. 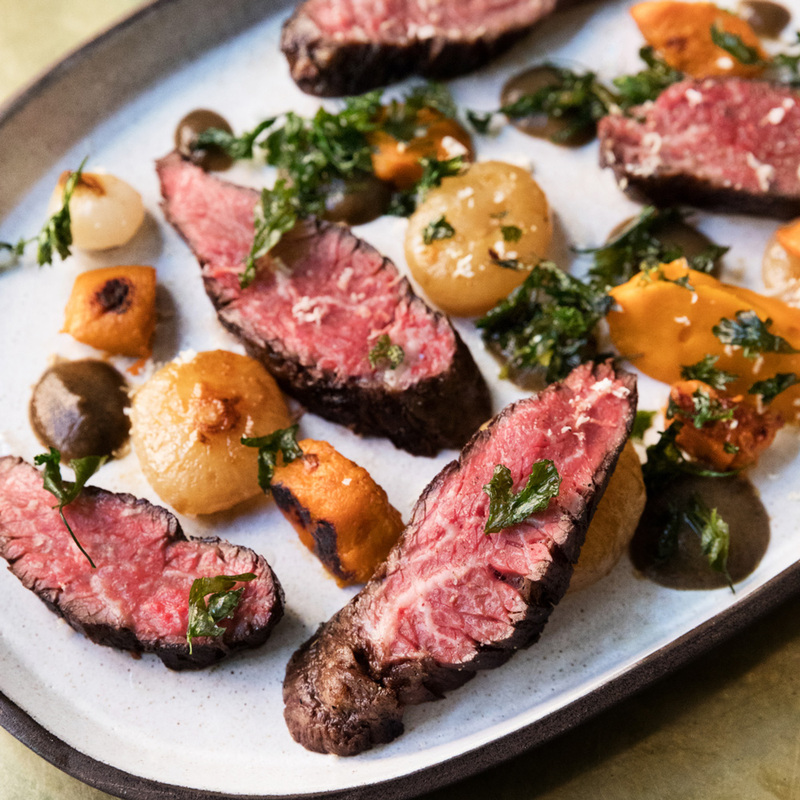 At Best Girl, the three-meal-a-day restaurant Cimarusti is opening at downtown L.A.’s Ace Hotel on Tuesday, Cimarusti is cooking in a much more relaxed fashion. Cimarusti will be focusing on “simple food, homey food, good ingredients and simple technique.” So he’s got a modestly sized and lightly adorned cheeseburger, made with a 4-ounce patty featuring three different cuts of Creekstone beef. Because Cimarusti wants to celebrate the diversity of L.A. and play around with bold flavors, that burger has umeboshi mayonnaise for a burst of umami. What’s known as the "BTU burger" also includes cheddar, caramelized onions and dill relish on a potato bun. For lunch, Best Girl also serves an umami-rich, tonkatsu-style chicken sandwich with yuzu kosho mayonnaise, creamy miso cabbage and sesame. Katsu is something Cimarusti’s wife, Crisi Echiverri, often prepares at home for meals with their son. The new restaurant “offers me an opportunity to do something completely different than I do at Cape Seafood, Connie and Ted’s or Providence,” Cimarusti says. All three of those establishments are seafood-focused, while Best Girl is where Cimarusti and chef-de-cuisine Adam Walker proudly serve steaks and pork chops. Beyond that grilled hanger steak entrée, Cimarusti is offering porterhouses for a build-your-own-taco large-format feast. Other meaty options at Best Girl include a pasta dish: calamarata with spicy Calabrian pork ragù. For those who want seafood, there are raw oysters and clams, baked clams and crab cakes. A rock cod entrée comes with Saltspring Island mussels, fennel, orange, olive and grilled bread. Echiverri, a professionally trained pastry chef, is in charge of desserts. She was raised in Kentucky, so she’s got Bardstown pudding, which is bourbon-scented sticky toffee pudding with crème fraîche ice cream and blackberry compote. She’s half-Filipino, so Best Girl is also serving coconut pandan tapioca with calamansi, tropical fruit and macadamia-nut crunch. Some desserts will, not surprisingly, be based on seasonal ingredients and whatever’s freshest at the farmers' market. Breakfast items include chilaquiles, avocado toast (with the option of adding poached eggs or black cod), fried mortadella sandwiches, a merguez scramble and overnight oats, a raw dish with coconut milk, toasted almonds, dried apricots, banana and acai butter. 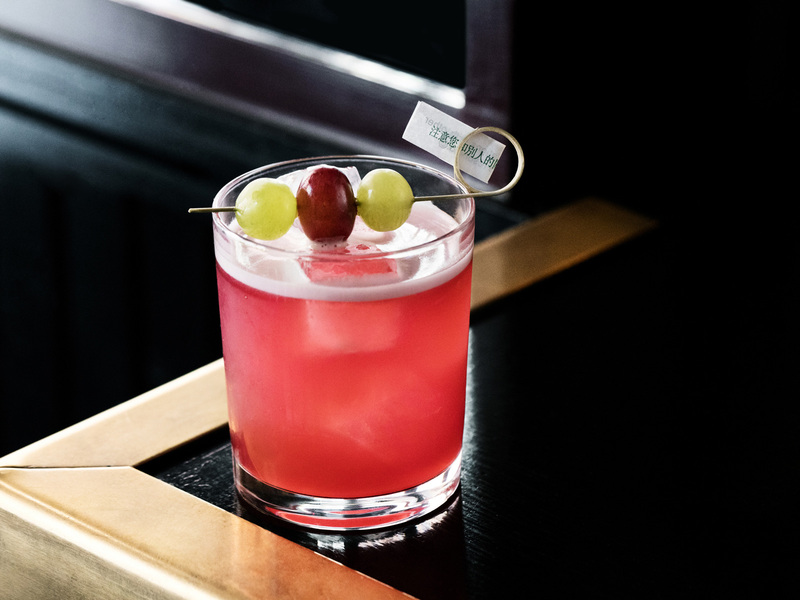 Providence front-of-the-house ace Donato Poto and beverage director Mary Bartlett have teamed up to create Best Girl’s cocktail menu. A dollar from the sale of each Wildcat cocktail, made with Four Roses bourbon, Amaro Angeleno, lemon, Don’s Mix and seltzer, will benefit Lunch on Me, a nonprofit that delivers organic food to the needy. 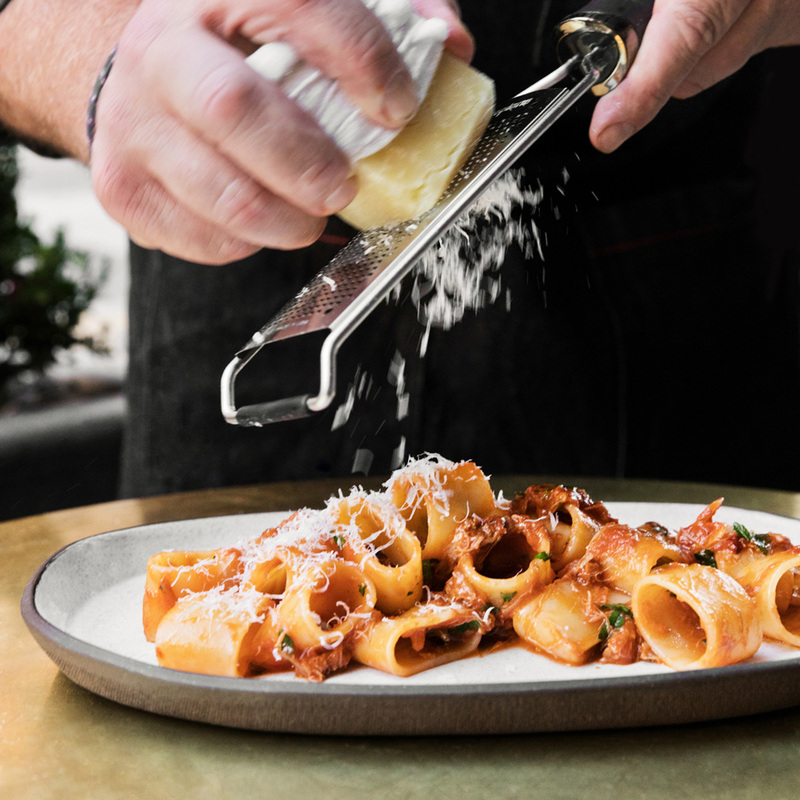 Cimarusti and Poto are also getting ready to open Il Pesce Cucina, a seafood spot inside L.A.’s new Eataly at the Westfield Century City shopping/dining center, on Friday. The name "Best Girl" nods to the Ace Hotel building’s history as the home of film studio United Artists. Mary Pickford’s silent romantic comedy My Best Girl was screened here on October 31, 1927. Now, 90 years later, Cimarusti is the one bringing the star power. His goal here is to make food that guests crave again and again, like a really good burger.